I've just a question: my parents don't want buy Botanicula on Windows and we have Linux Mint. I just want to know if I can buy the game on Linux Mint and transfer him and install him on Windows and how we do that? I just want to know if I can buy the game on Linux Mint and transfer him and install him on Windows and how we do that? Thanks for your answer. So, for transfer it on Windows, I just make a copy from Linux? How work the DRM? So, for transfer it on Windows, I just make a copy from Linux? How work the DRM? Amanita Design games are always DRM free and there will be no need to copy from Linux to Windows. 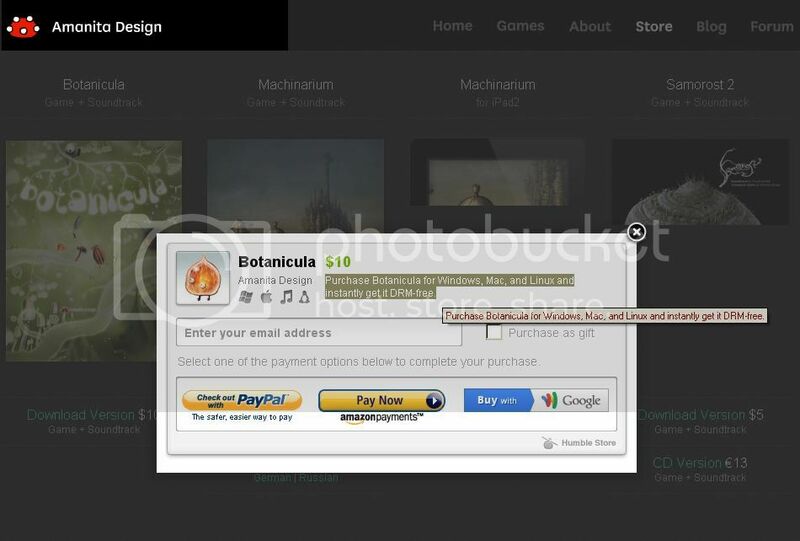 When you purchase Botanicula an email is sent to you with download links to the three separate versions available (Win/Mac/Linux). Download all those files, save the Win and Mac installer files away some place for later use, and meantime load and play the Linux version on your current computer. When you want to move to a Windows machine load and launch the Win installer you downloaded when you bought the game.